This cabinet card shows the C. M. Condon and Company Bank in Coffeyville, Kansas. 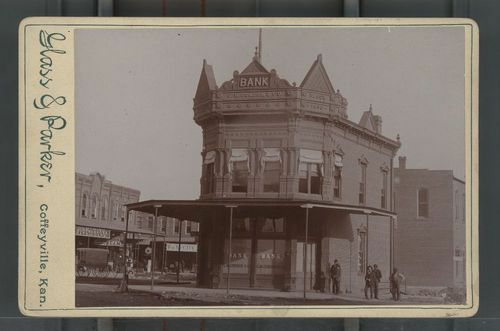 The bank was robbed by the Dalton Gang on October 5, 1892. As they tried to escape, four members were killed by a marshal's posse and Emmett Dalton was wounded and captured.